Canada’s goal is to admit more than a million new permanent residents through immigration programs by the end of 2021. Express Entry is a most realistic chance to get Canadian Permanent Residency as well as Provincial Nominee Programs (PNP). 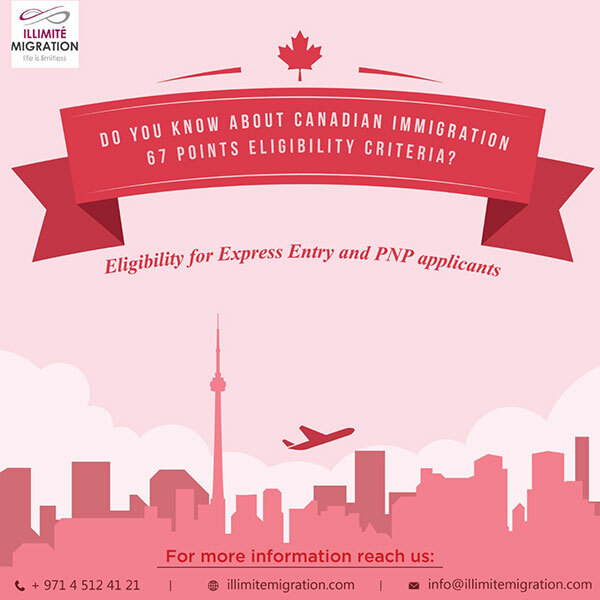 To be eligible for Express Entry and PNP applicant should reach the minimum required 67 points and it is calculated based on 4 main criteria such as Age, Education, Experience, Language Skills (IELTS) and Adaptability (spouse skills) for those who are married or having blood relatives in Canada.